Canoe Racks and Canoe Carriers provide a stable, padded, secure method for transporting your canoe to and from the water on a car roof rack. Canoe loaders, canoe rollers and canoe lifters assist with loading and unloading a cumbersome, sometimes heavy, canoe. Canoe gunwale brackets fasten to your roof rack and keep your canoe from shifting side to side at highway speeds or in strong crosswinds. Most canoe kits include tiedown straps and bow stern tiedowns. Be sure to read each product description to better understand what your canoe rack does and includes. Canoe Carriers, Canoe Racks, Canoe Gunwale Brackets, Canoe Loaders, Canoe Rollers, Canoe Lifters and more, are in stock and on sale at The Rack Warehouse. The Rack Warehouse stocks and discounts all Yakima Canoe Carriers, Yakima Canoe Racks, Yakima Gunwale Brackets and Yakima Canoe Accessories. 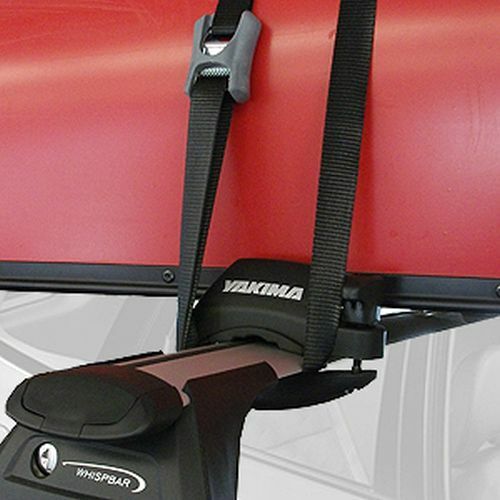 Popular Yakima Canoe Attachments like Yakima Load Stops, Yakima Canoe Gunwale Brackets, Yakima Heavy-duty Tiedown Straps, and more, are available for immediate shipping. All Yakima Canoe Racks carry your canoe with the gunwales down to ensure a stable, aerodynamic, secure ride to the water. If you're looking for Yakima Kayak Racks and Carriers, RackWarehouse.com carries the entire line of Yakima Kayak Rack Products. The Rack Warehouse stocks the complete line of Thule Canoe Products including Thule canoe carriers, Thule canoe racks, Thule canoe gunwale brackets and Thule kayak accessories - all at discounted prices. Thule Canoe Products are know for their uncompromising durability, great looks and unparalleled practicality. Thule Canoe Racks include bow and stern tie down lines and Thule load straps. In addition to fitting standard Thule Load Bars and Thule AeroBlade Bars, Thule canoe carriers will fit most factory load bars. Malone canoe racks and Malone canoe carriers from Malone Products, including the Big Foot Pro, are in stock and available for immediate shipping from The Rack Warehouse. 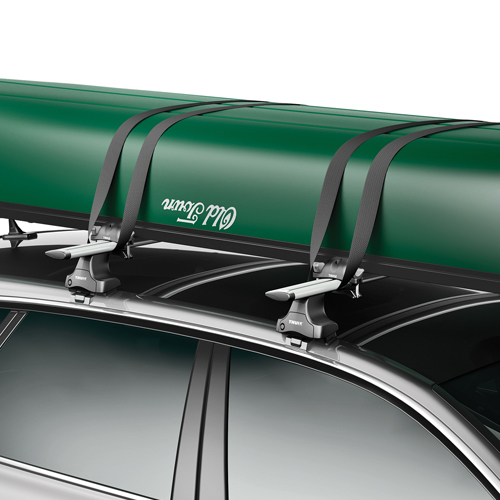 Malone canoe carriers attach to roof rack crossbars and prevent your canoe from shifting side to side while traveling at highway speeds. With the Big Foot Pro Canoe Carriers your canoe rests on its gunwales with the hull upward. Heavy-duty tie down straps are included to securely fasten your canoe to your roof rack. Bow and stern tie down straps are always recommended. 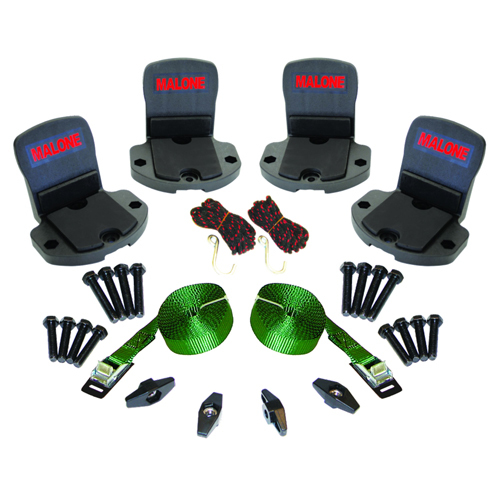 Please visit our Complete List of Malone Products to view the wide assortment of Malone Products offered by The Rack Warehouse.